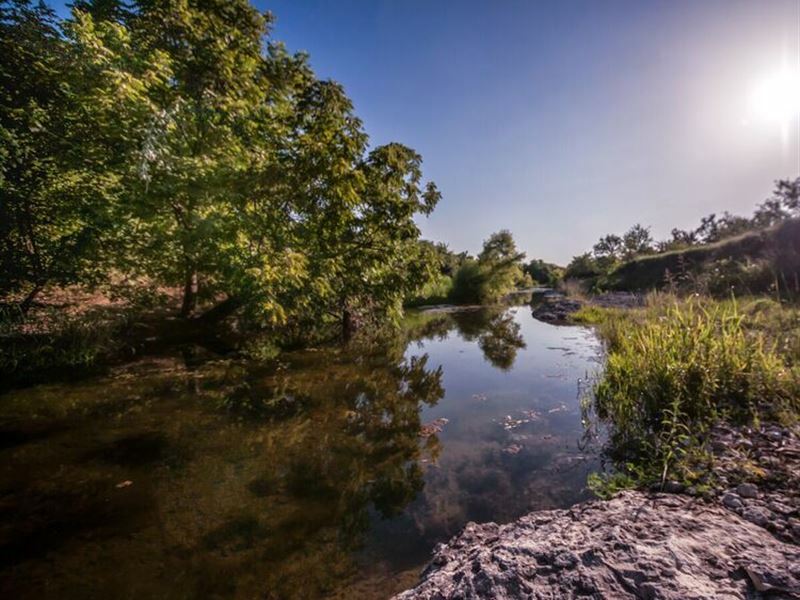 A rare opportunity exists to own all or a portion of the Bear Creek Ranch in Aledo, Texas. This stunning native prairie ranch lies in the shadow of downtown Fort Worth. The opportunities are endless and as an investment it is unparalleled. Founded in 1994 by the late Roger Dixon, the Dixon Water Foundation promotes healthy watersheds and sequestration of carbon through regenerativeland management, to ensure that present and future generations of Texans have the water resources they need. They own and operate several working cattle ranchesMimms Unit and the Alamito Creek Preserve in West Texas and Leo, Pittman and Bear Creek Units in North Texas. These ranches demonstrate environmentally and economically sound ways to manage rangeland. They partner with local researchers to monitor how the environment responds to the Dixon Water Foundation stewardship. The ranches also host educational programs, serving as outdoor classrooms for landowners, students, and others interested in sustainable ranch and natural resource management. The foundation has been honored with the 2017 Leopold Conservation Award, a Lone Star Land Steward Award and a Texas Environmental Excellence Award for Agriculture. Bear Creek Ranch is within 15 minutes of Fort Worth, Aledo and Weatherford making this location superb for future development. Major development is taking place along the I-20 corridor between Fort Worth and Weatherford and Maravillas is a new residential development near the ranch with frontage along Bear Creek Road. This location is within 10 minutes of the Chisolm Trail Parkway. Bear Creek Ranch has great natural water resources with 7 water wells, 8 stock tanks, 4200 feet of Bear Creek and several seasonal creeks. Bear Creek is usually a running creek except in times of drought. The creek has crystal clear water flowing over a limestone base. The average annual rainfall for this region is 30-35 inches. The underlying limestone soil characteristics of this area create some dramatic rocky outcroppings, bluffs and points on Bear Creek. The elevations range from a lower 950 feet to 1063 feet offering long vistas of the stunning native prairies and surrounding countryside. Bear Creek Ranch is fenced and cross-fenced with all fencing and gates being in excellent condition. There are two metal barns, one which is the livestock barn with adjacent pens and the other metal barn that has been utilized as the educational center. This barn sits on one of the dramatic hilltops and has living quarters with 2 bedrooms, 2 baths, kitchen, living area as well as a screened porch area, double doors and storage areas. All of the minerals are intact and had been leased by Devon. Devon cleaned up all the well sites and reworked the roads. There are existing gas lines and gas line easements on the ranch as well as several gathering areas but the ranch is extremely clean. Bear Creek Ranch is definitely suited for a premier mixed use development due to location. As a real estate broker with a heart toward conservation I could also see this ranch being sold in several large private parcels ("The Prairies") or being developed as a conservation development. Welcomes all Cooperating Agents and Brokers. Cooperating brokers and agent must make first contact with Listing Broker or Agent and be present at all showings to fully participate in commission split otherwise the commission split is at the sole discretion of the listing broker. The information contained in this advertisement is believed to be accurate and reliable, but it is not guaranteed. Please verify all information.